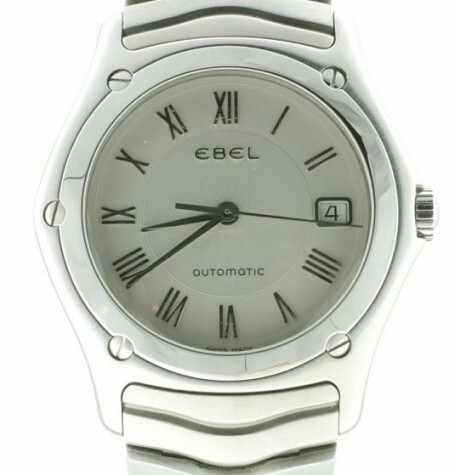 Nearly new Ebel Classic Wave automatic watch with boxes and papers. 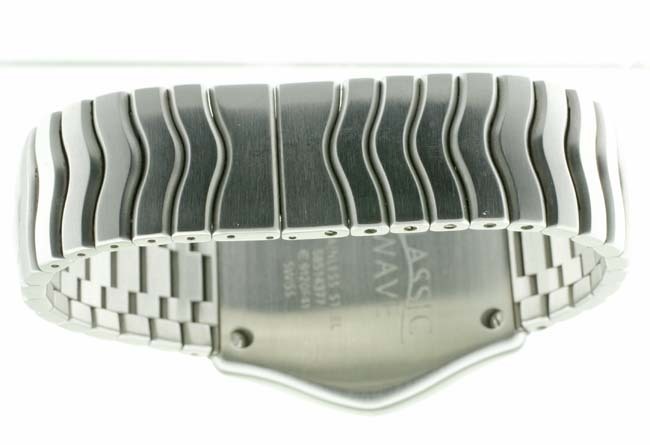 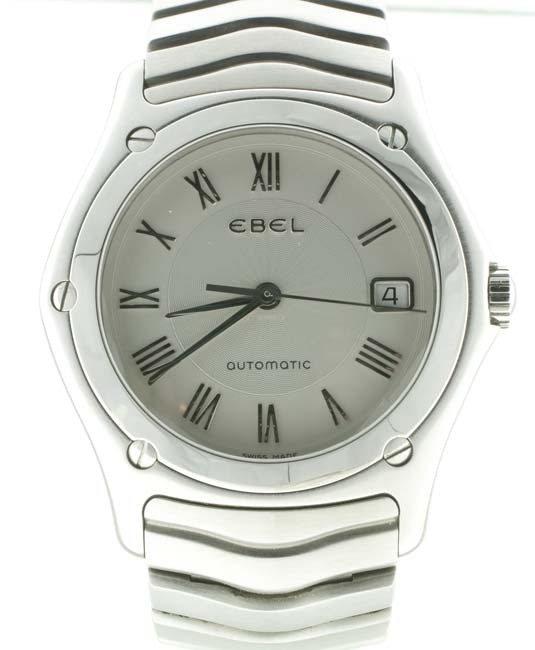 Ebel Classic Wave men’s automatic watch on bracelet. 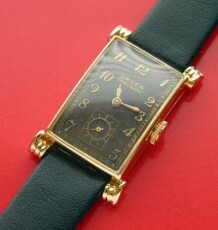 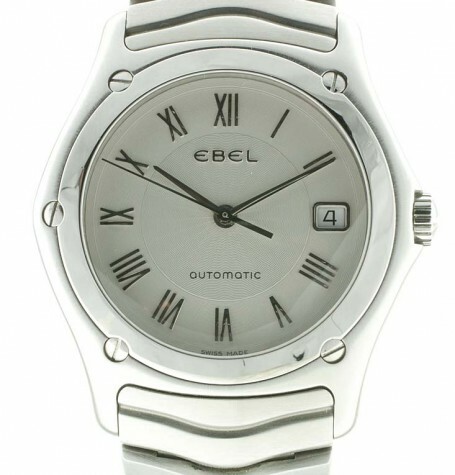 This lightly used Ebel Classic Wave watch comes with the original boxes and papers. 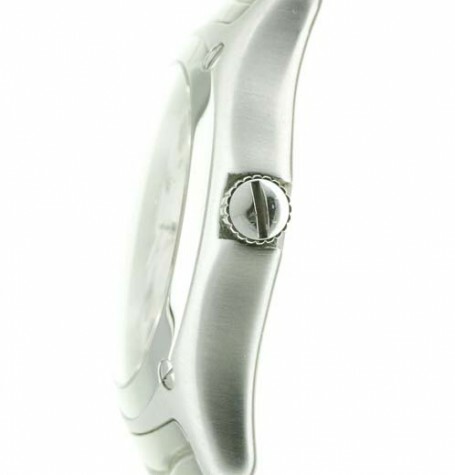 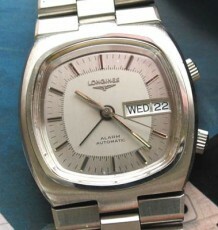 The watch was originally purchased in January 2011 and the 3 year warranty has recent expired. 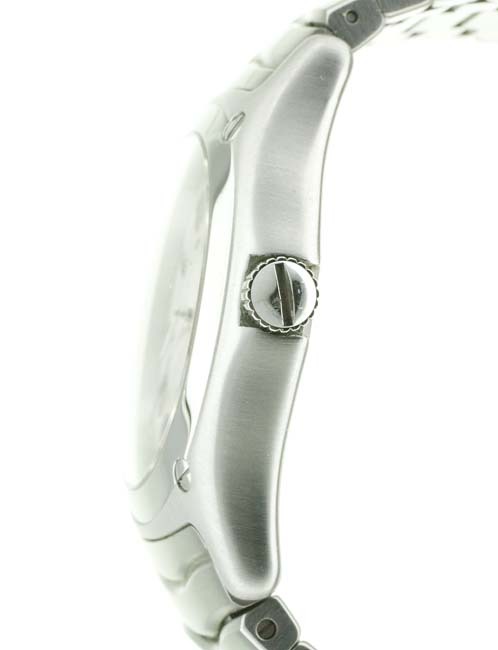 Fitted with a clean white dial with an inner engraved Guilloche center. 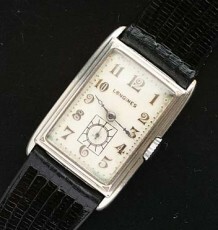 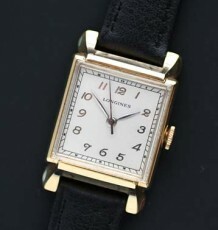 The watch uses simple steel Roman numerals at each hour marker, except for the one occupied by the date at 3 o’clock. 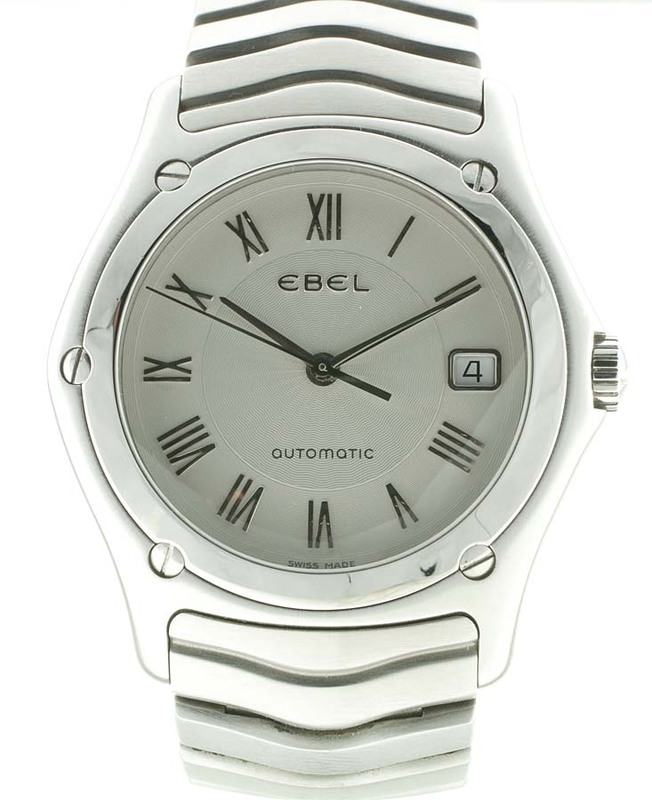 The Ebel Classic Wave is powered by a Swiss-made automatic movement, likely based on the ever popular ETA2892 movement. 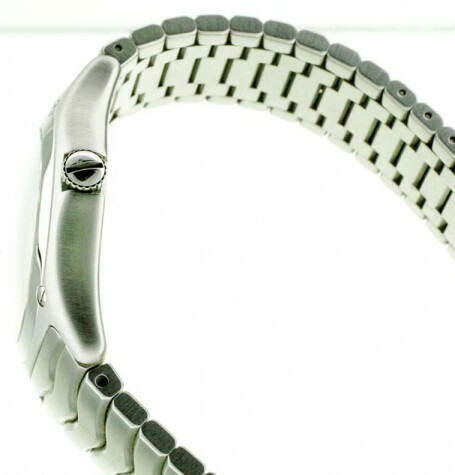 Another interesting feature is the anti-reflective scratch resistant sapphire crystal fitted to the watch. 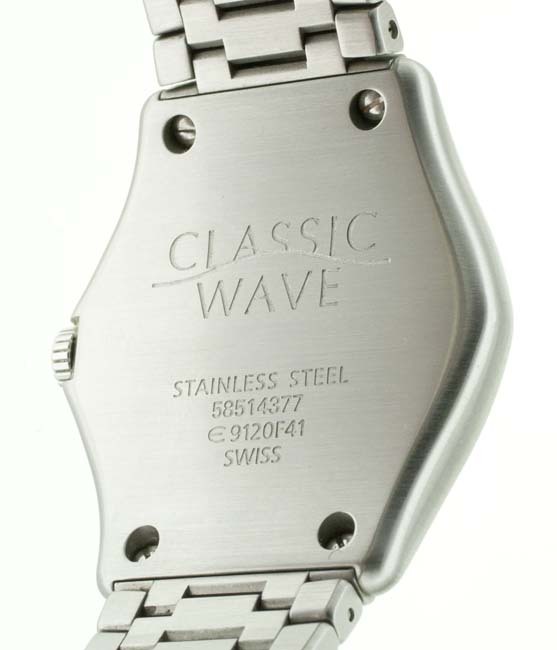 The watch is officially an Ebel Classic Wave reference 9120F41. 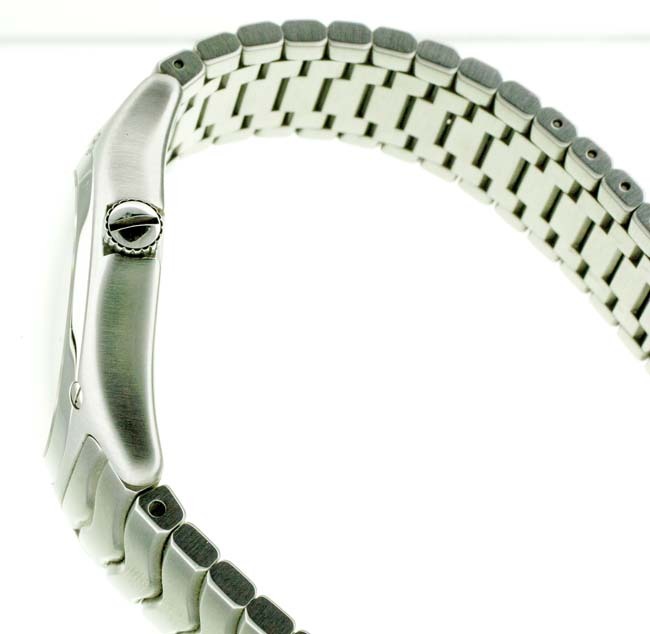 The attached steel bracelet with 20 mm wide end pieces, has an almost serpentine link structure and is quite comfortable on the wrist. 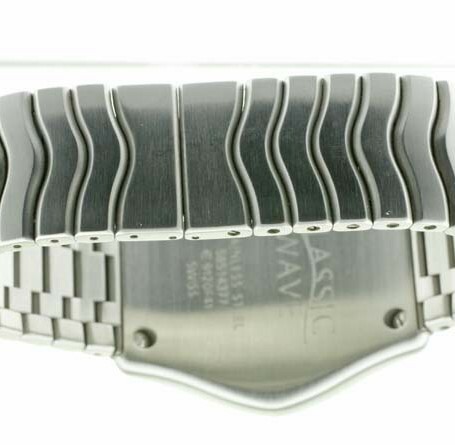 The steel case measures 37 mm wide excluding the crown, 42 mm from lug tip to tip and 10 mm thick. 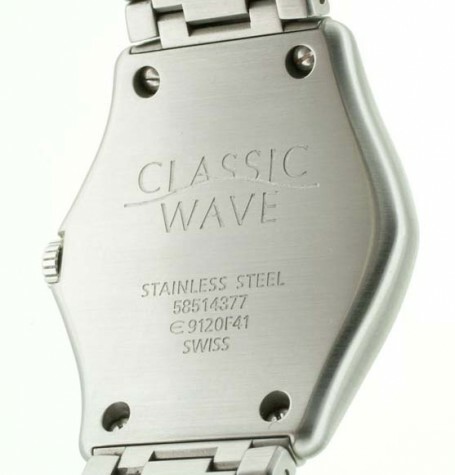 These watches command a higher price in Europe where the brand is probably more well known.